We offer Platinum, Gold and Basic Memberships. We also offer a special membership for our recovering community. Our staff has a wide range of specialties and style. 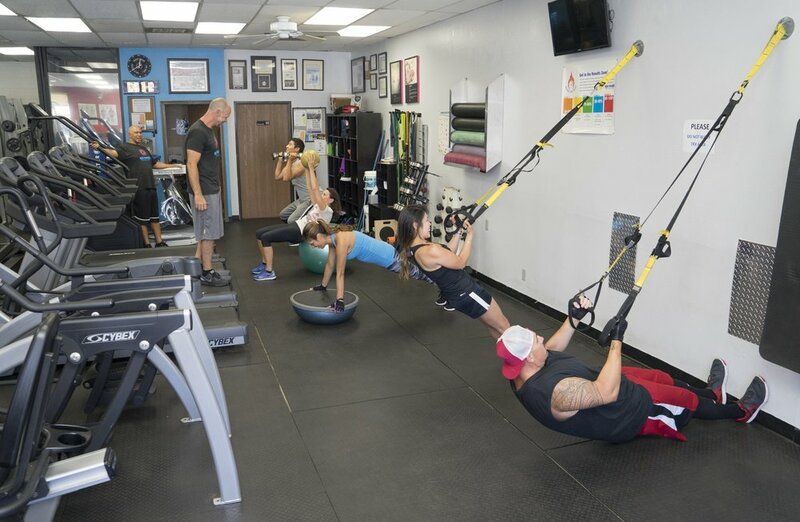 We can help match you up with the right trainer. We are not your cookie cutter gym class! Personalized, and never boring, find a class to challenge you today. Medfitness is just what the doctor ordered. as A certified MEDFITNESS Gym, We have trainers who are certified to work with clients with special health needs. No disease should stop you from being as fit as you can be. If your young athlete wants to stay in the game. We understand that the most successful young athletes are the ones who stay healthy so they can put their best foot forward in whatever sport they choose. At End Results we have trainers who can work with sport specific goals. Training at the gym as an athlete helps to build the infra-structure that a body needs to go through the toughest of competitions. Join us and you join the fight against cancer. Through Picture of Health we offer Fit and Well Worth it classes to help our Cancer Thrivers get their strength and confidence back. Buy a Gym membership and give the gift of a workout to a Cancer Thriver.